Our mission is to make money work for everyone. And so far, we’ve done that by building a personal current account and bringing it to a million people. But for many of you, managing your money doesn’t stop with your personal finances. Lots of you are entrepreneurs, sole traders, freelancers and small business owners, who need a business bank account that solves your problems and lets you achieve what you want to achieve. So we’ve started exploring how we can offer a current account for businesses! To help us do that faster, we’re applying for some funding. If we’re successful, that money will give us the resources we need to make business banking a priority, and hopefully launch something in the next year or two. If we don’t get the funding, we’ll still build business accounts. It’ll just take a little longer! There are more than five million small and medium sized enterprises (SMEs) in the UK, and almost nine million people either run their own small business or work for one. That means there’s a big opportunity to bring Monzo to even more people, and help them manage their money better. And because the SME market is so big, it’s also a good opportunity for us to grow revenue and help build Monzo into a sustainable business. From our research and from what you’ve been telling us, it seems like lots of the current business banking options don’t meet your needs. Business current accounts are often riddled with confusing fees, can be difficult to access without a good credit history, and don’t come with features that make running your business easier. You’ve been asking us for it! Through in-app chat, at events, on social media and our community forum, lots of you have been asking us to build business bank accounts! From your feedback, it seems there are things you’re not getting out of your existing business bank account, and ways we could improve. By listening to your problems, we want to build something that solves them. We want to build amazing accounts for small and medium businesses, but not at the expense of improving our personal current accounts. So we’re applying for some funding that will help us hire new people who’ll be able to focus on building business bank accounts, and getting them into your hands much faster. Without the funding, we still plan to launch business bank accounts in the future. But because we won’t have the extra firepower, they’ll be a longer-term project that we probably won’t be able to launch for a few years. During the 2009 financial crisis, the Royal Bank of Scotland (RBS) received £45 billion state aid from the UK government. To make sure that money didn’t give RBS an unfair advantage over other banks, one of the conditions of the bailout required RBS to reduce the size of their business and their share of the UK’s small and medium sized business banking market. To do this, RBS has set aside a £700 million pot of money called the Alternative Remedies Package. Banks and fintechs can apply for some of the money, and use it to build or expand their own products for SMEs. The hope is that this will create more competition, and lead to better options for customers. The Incentivised Switching Scheme: Banks can use this funding to incentivise RBS’ existing SME customers to switch away from RBS! We’re in the process of applying for money from both funds already, and we’ve started research and planning for business accounts. If we win, we’ll use the money from the Capability and Innovation fund to hire new people, who’ll be able to research, design, build, test, launch and market business banking accounts. It’s still early days, so we’re not sure exactly what business accounts will look like yet, or when we’ll launch them. But the money will give us the resources we need to start work sooner, and hopefully launch something in the next year or two. If we win funding from the Incentivised Switching Scheme, we’ll use the money to encourage eligible RBS customers to switch to Monzo business accounts! We don’t want building business bank accounts to distract us from making the Monzo current account amazing. So if we don’t get the funding, we won’t be able to dedicate lots of time and effort to business banking now. If this happens, we’ll keep building our understanding of what you need from business banking and will still launch business accounts – we just won’t be able to make it a top priority for a while. 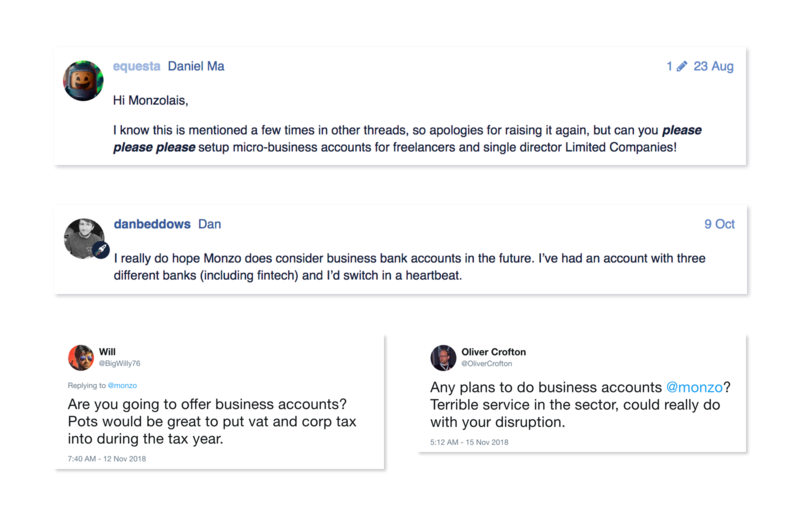 Right now we’re working on applying for the funding, which involves defining what Monzo business accounts will look like and showing why we can offer something great for SMEs. We’re doing our research at the moment, then over the next few months we’ll work on designing a product. We’re planning to submit our application in the first half of next year, and we’ll know whether or not we’ve got the money a few months after that. We’ll keep you updated on our progress, so look out for news on the blog and on Twitter! In the meantime, we’ll keep exploring what you need from business banking. So, if you’re a sole trader or own your own small business, tell us what you need from your business bank account! 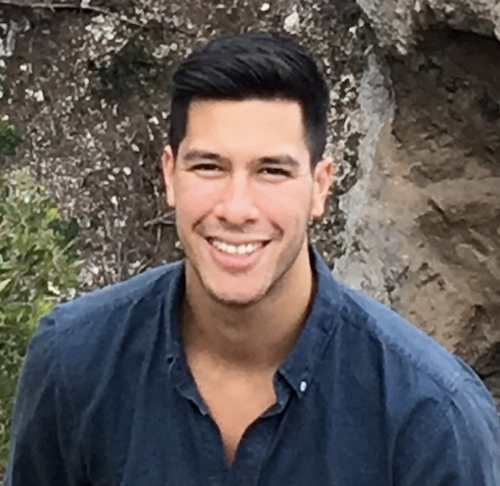 How do I add money to my Monzo account?